All Ksport Airtech Systems use VIAIR compressors, and can be raised from the lowest setting to max height in as little as 2-5 seconds. Ground-breaking Ksport LED Remote: This cutting edge remote uses an OLED display to show your air tank pressure as well as front and rear air bag pressure. In addition, the remote allows selection of 4 ride height presets. These presets can be recalled with 1 touch of a button. The LED Remote can be charged via USB and also features a low tank pressure indicator. 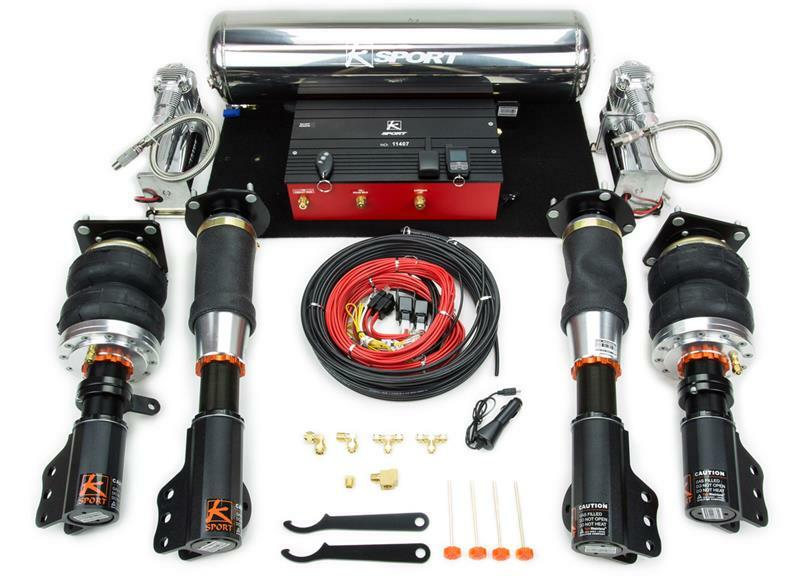 Ksport Seamless Installation System – The Seamless Installation System eases installation and creates a much cleaner Air Suspension System. All wiring, valves, solenoids, etc are now contained in one attractive, easy to mount solution. The Seamless Installation System also allows 1 preset to be automatically recalled when the vehicle is started. The Airtech Pro Kit can rise from lowest to maximum height in 2-5 seconds. 5. 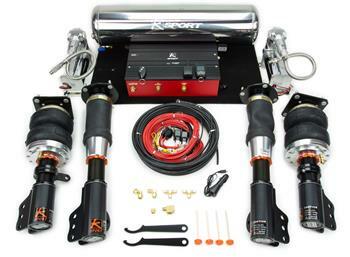 4 High Performance Ksport shock absorbers, featuring 36 levels of damping and adjustable lower mount. 6. 4 High Pressure Air Bags designed and engineered to match your vehicle. 7. Installation manual, all hoses and wiring..